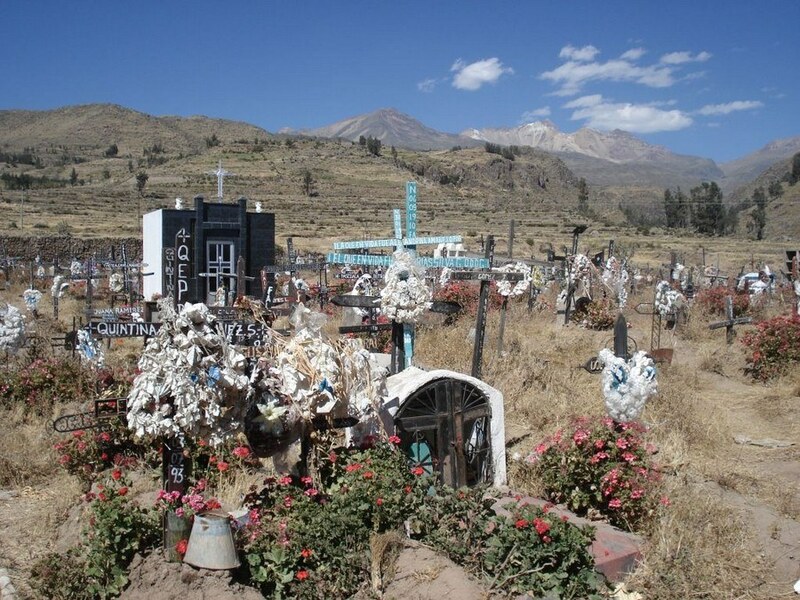 The town of Chivay (3650 m) is the capital of the valley, 176 km from the regional capital, Arequipa, and is well known to among locals and foreigners for the presence of the La Calera hot springs 3 km outside of town. 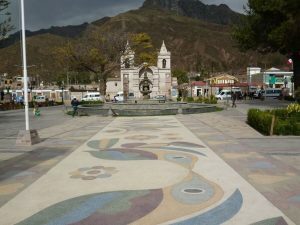 Chivay is also a good place to look for high-quality, locally-produced crafts, in particular goods hand-knitted from 100% alpaca fiber, and elaborately embroidered goods produced by hand on sewing machines (hats, coin purses, belts, etc.). 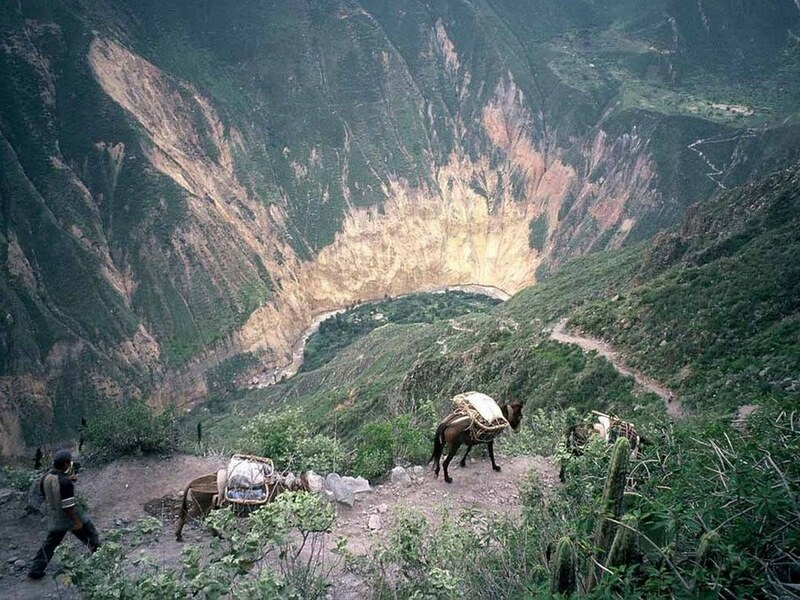 Such crafts are also available in some of the miradors (scenic overlooks) along the highway, and in surrounding towns. Be careful not to be confused by cheaper, industrially-produced products of lesser quality. 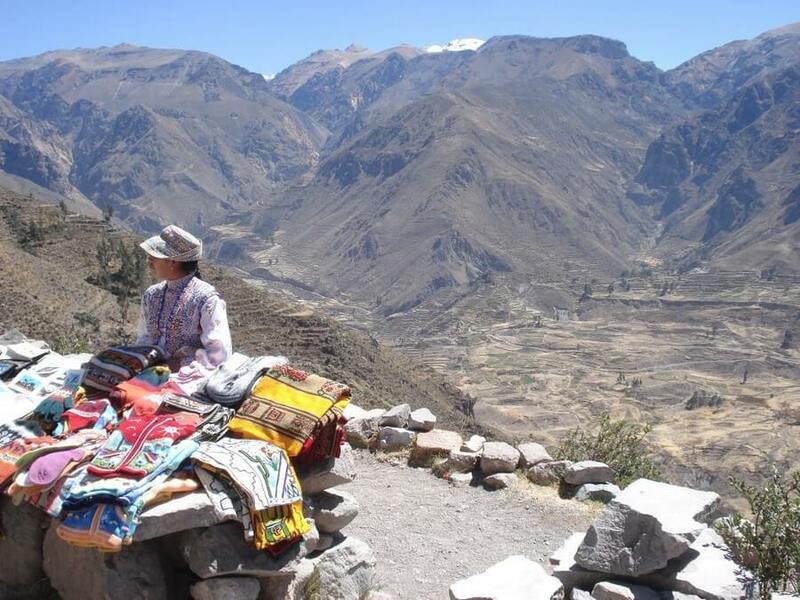 From Chivay you will drive along the Colca Canyon towards the village of Cabanaconda. About 10 km before arriving at the village you will stop at the Cruz del Condor Mirador, the famous Condor Viewpoint, where you will usually be able to spot the mighty Andean Condor! 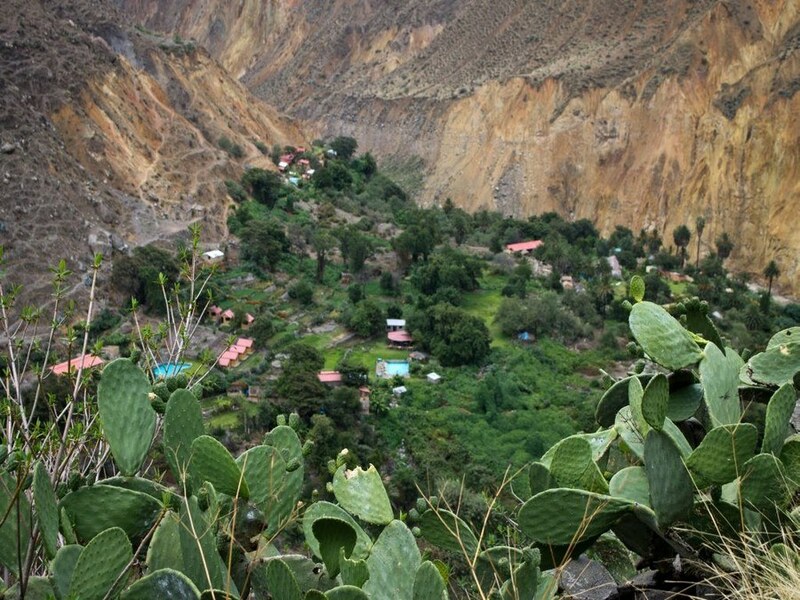 Between the villages of Callalli, at the high end of the Colca valley, and Tapay, in the depths of the Colca canyon, you’ll find a range of accommodations and activities, as well as microclimates that vary with altitude. 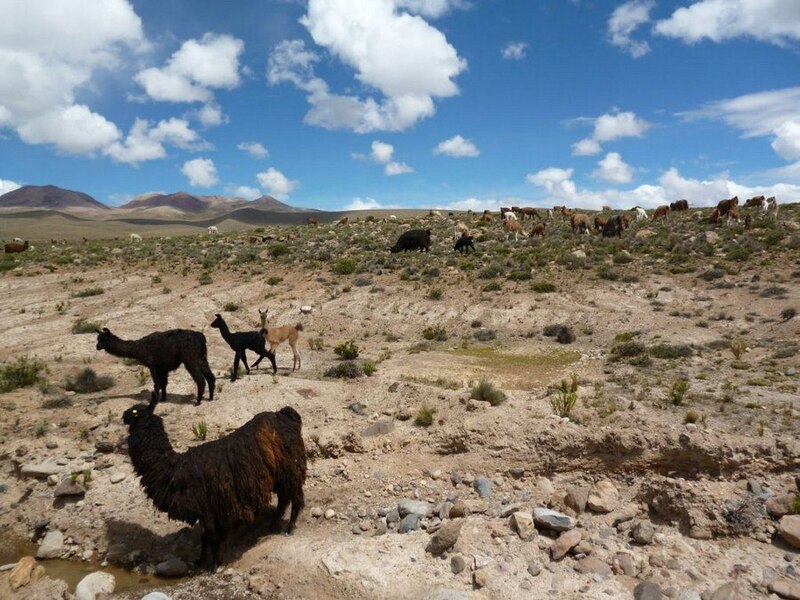 In the cold, dry, highlands, livestock production predominates, focused on alpaca and llamas; in the middle zone, agriculture is more important, featuring products such as corn, quinua, barley, beans, and a variety of potatoes, as well as dairy production; in the canyon, due to the warmer climate, fruit production is possible, including avocados, lucuma, peaches, and apples. 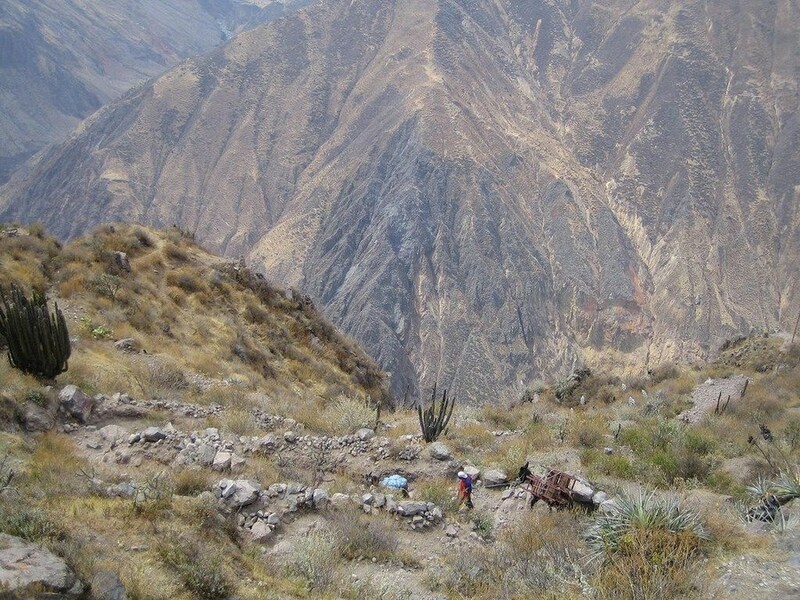 Between 03: 00 am to 03: 30 am you will be picked up from your hotel in Arequipa to travel to the Colca Canyon. 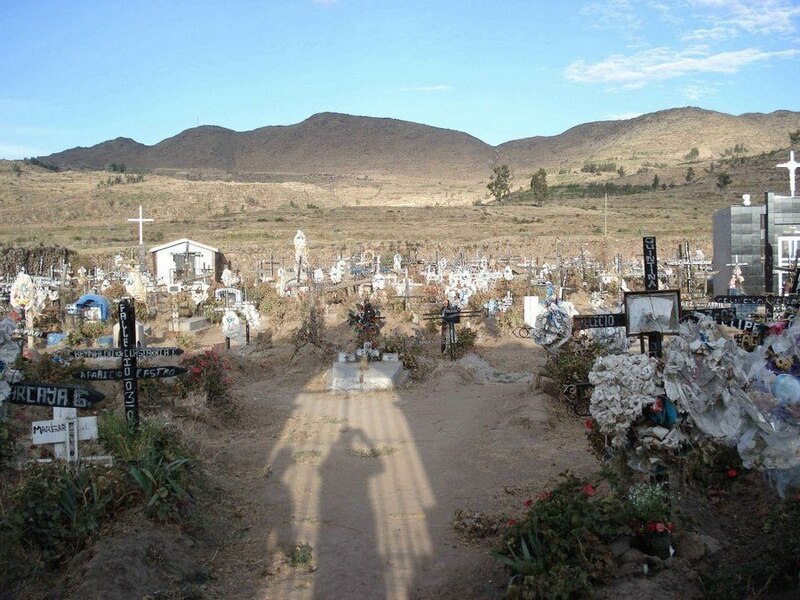 After approximately four hours of travelling we will reach the main Valley, Chivay. 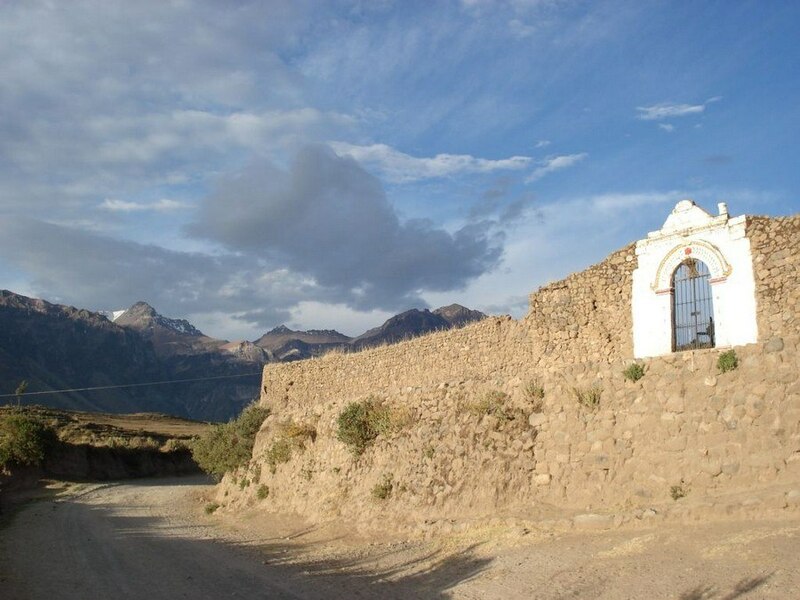 We will stop here so you can have breakfast and then continue the trip until we reach the village of Cabanaconde (1.45h). 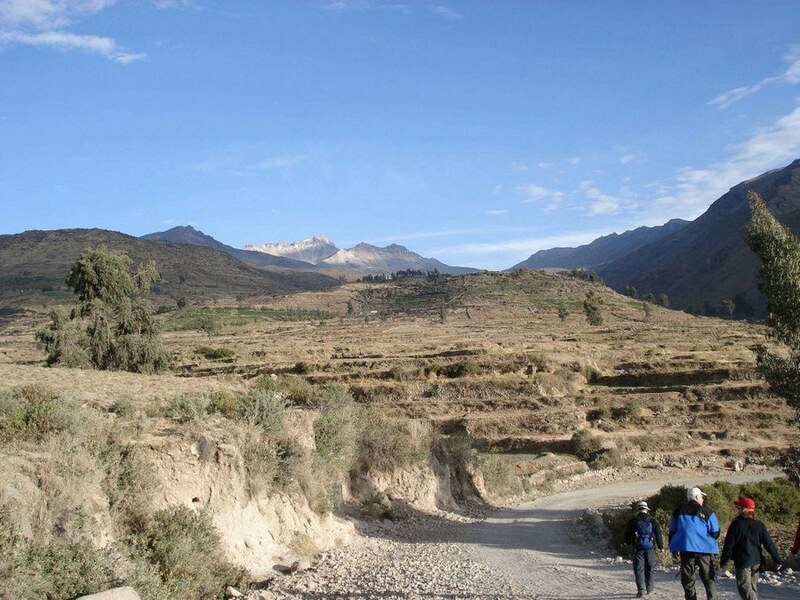 From this calm local village starts our hike down to the base of the Colca Cañon, which take us approximately 3 ½ to 4 hours. 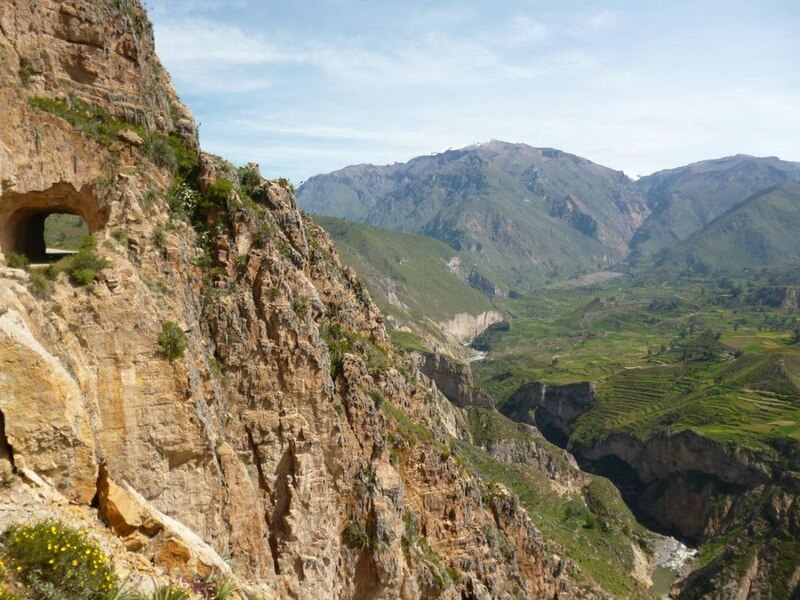 During our descend we get to see the diverse vegetation between Andean and tropical and the geological formations of the Colca Canyon, part of the formation of the Andean Cordillera. 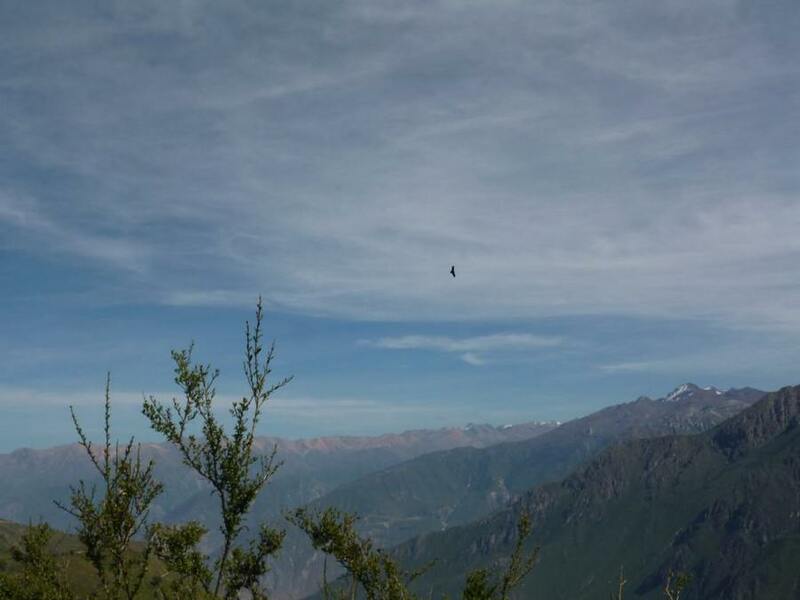 There is even already a good possibility to see a condor flying back to its nest! After crossing the bridge of San Juan we will arrive at the village of San Juan of Chuccho, where we take a break and enjoy a late lunch surrounded by the beauty of the mountains. After lunch we continue our scenic hike towards Cosnihua, the village of Malata and Sangalle (Oasis). 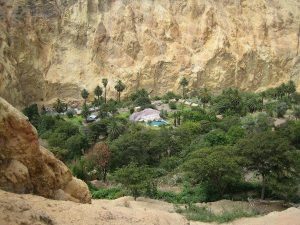 In its sub-tropic surroundings we can enjoy a refreshing swim in one of the natural pools (18 ° C), before dinner and a well deserved sleep in basic cabins. 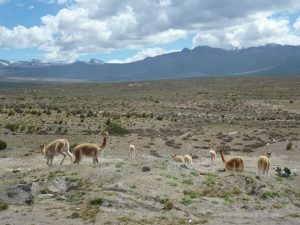 Second day: Sangalle - Cabanaconde - Chivay - Arequipa or Puno. 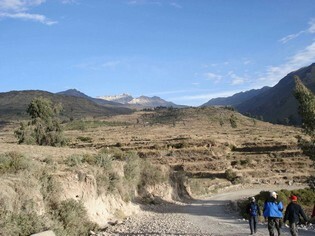 At around 4:30 am we will start our direct ascent (1300m) up to Cabanaconda. 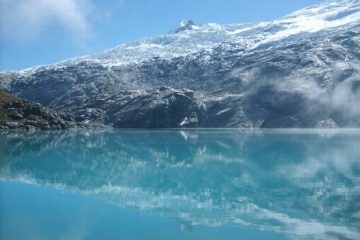 It is a Oasisquite a steep zigzag and rocky path, but we will take it easy and after approximately 3 hours we will arrive in Cabanaconda. 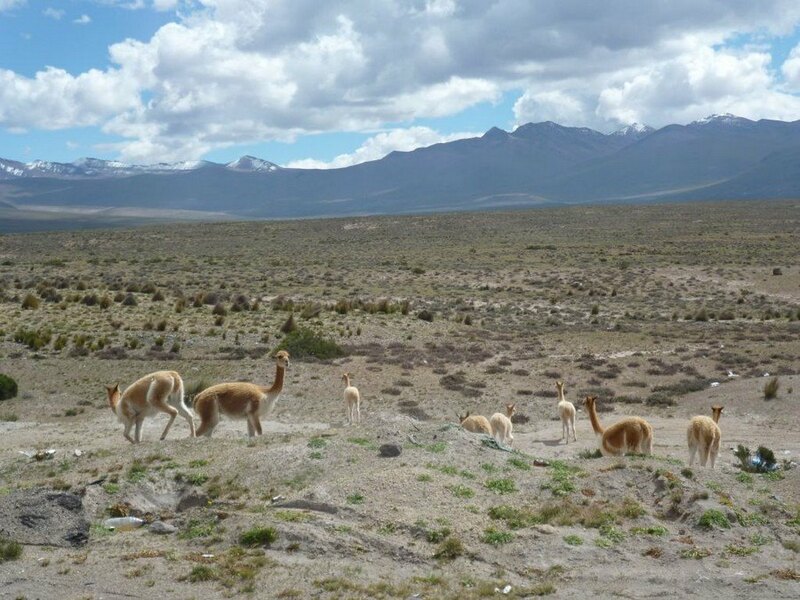 We will have breakfast at a local restaurant and then drive in about 15 minutes to the Cruz del Condor Mirador (viewpoint). 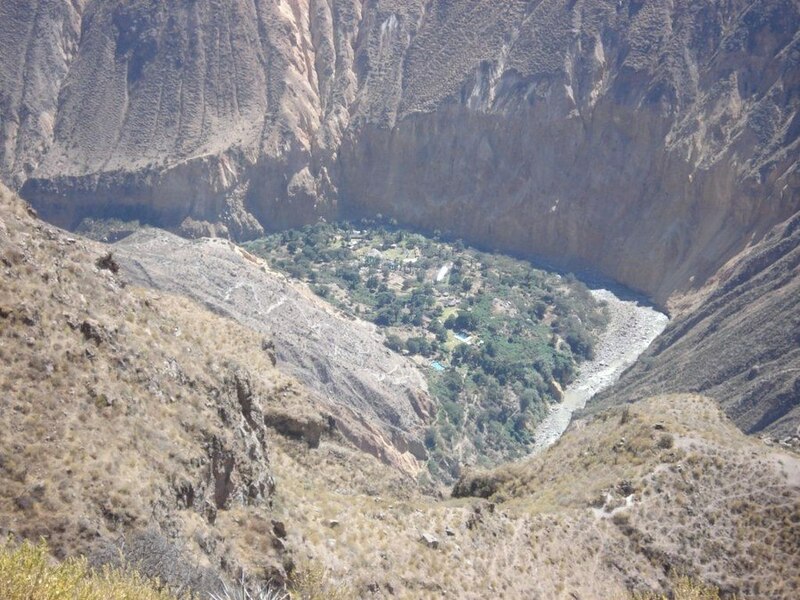 From this point you have a great view over the Colca Cañon and during most of the year you will be able to see several condors ascending from the depths of the canyon. 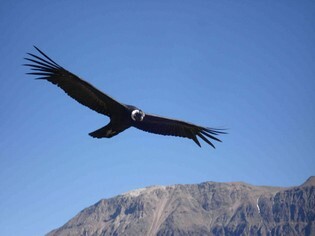 After saying goodbye to the condors we drive back to Chivay for lunch. 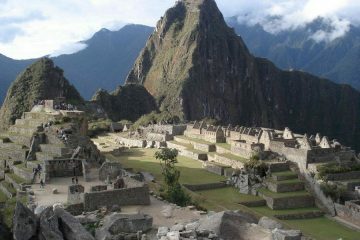 Depending on the size of the group it will be decided if you continue from Chivay with the tour in shared service towards Puno/ Arequipa, or if you travel in private services. 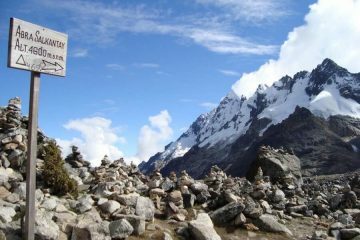 Good shoes, good backpack, bathroom clothes, something warm for the night, sunscreen, torch, insect repellent, towel, Snacks, water (can be purchased at the tour), hat, walking sticks (optional).